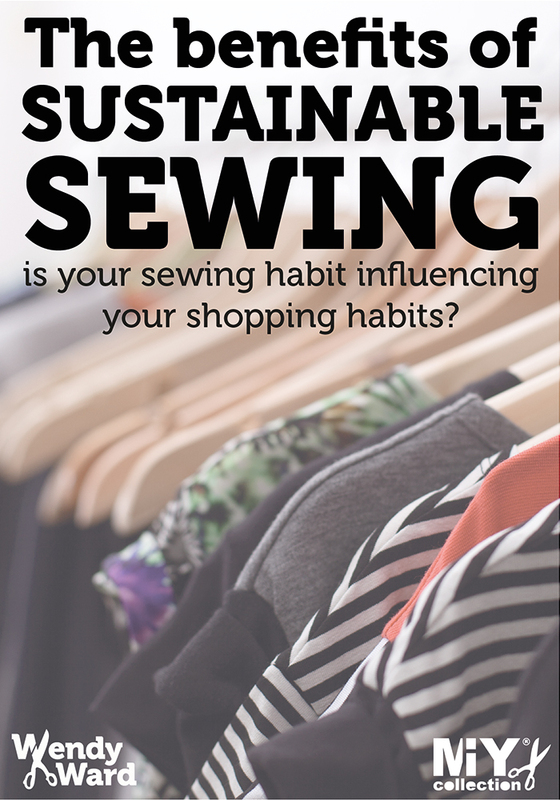 Remember that call out I posted just before Christmas about the beneficial impacts of sewing and generally making things with your hands? Well here it is in print in this month’s Love Sewing magazine. As is inevitable within the limited space of magazines, things get edited so here’s the full version of what I wrote. Thanks so much to everyone who so generously contributed to this piece. It’s a subject I hope to return to later in the year. Do you ever lose track of time while you’re sewing? Getting so engrossed in what you’re doing, so concentrated that you completely forget all about those niggly things that have been annoying you? Suddenly realising you have figured out a solution to that tricky problem at work? Feeling much more relaxed and in a better frame of mind than when you started? It’s called flow and is one of the acknowledged benefits of practicing any practical skill, be that sewing, knitting, drawing, throwing pots, making jewellery or playing a musical instrument. Flow or being “in the zone” when making can send you into an almost meditative state with all the positive health benefits that brings. A clinical study commissioned by the American Home Sewing & Craft Association in 1995 showed measurable drops in heart rate and blood pressure amongst women engaged in sewing and an online survey conducted by Craftsy in January 2014 showed 93% of respondents believed that crafting can help them manage stress and 87% believe that crafting will help combat depression. Pretty powerful stuff. WHAT ARE THE BENEFITS OF MAKING? Being creative and making something with your hands keeps your hand eye coordination sharp and your fingers and hands nimble. I once saw sewing described as yoga for hands – I wish I could remember who said that! Not to mention that learning a new skill keeps the little grey cells busy. Particular to any kind of making is the “reward” your brain gets from the end result of your efforts and seeing the tangible progress that you’ve made. The same effect can be had from the challenge and glory of problem solving so often necessary in making; you must have experienced getting horribly stuck with something to the point of frustration, walking away and coming back to it with the answer and the elation of not letting it beat you?! There was a big exhibition at the V&A in 2011 which celebrated the hand made called “The Power of Making”. It included examples of finished objects and lots of video footage of skilled makers at work; for me this was the absolute best bit, I find watching skilled craftspeople working with their hands almost as relaxing as making something myself. You can still see lots of these films online at the V&A website: www.vam.ac.uk and search “Power of Making” they’re well worth 5 minutes of anyone’s time. I teach lots of students who lead busy stressful lives and many of them place their sewing classes very high on their list of priorities stating that; “it’s the one time in the week that’s purely for me” or describe their class as “the best part of my week” and will even arrange work and family commitments so that they don’t interfere with their sewing. It’s obviously important to them (not to mention lovely for me to share so many best bits of peoples’ weeks!). A lot of the benefits that come from creative activities could be labeled as “mindfulness”, something that’s allover the place at the moment; you can read books, download apps, do some colouring-in and take courses to improve your mindfulness, but all it basically means is experiencing and being completely in the here and now. Something you have to do when you’re sewing. For a while I was teaching an occupational therapist in my dressmaking classes and we regularly chatted about the benefits of working with your hands and being creative, she confirmed that this was a big part of her work; that as humans we’re programmed to want to make stuff and use our hands and that working within mental health for the NHS she regularly used craft and activities like gardening to successfully help patients. I’ve witnessed people who hardly know each other share fairly intimate stories and experiences in classes. I think it has something to do with the shared experience of being creative in a group, keeping your hands busy and perhaps most importantly; not necessarily making eye contact. It’s easier to talk about difficult stuff if there’s something else going on too, rather than just an intense conversation while looking someone in the eye. The practical activity kind of takes the edge off and helps people open up. How many times have you found yourself fiddling with something in your fingers while having a difficult conversation? During my years teaching in adult education, I taught a lot of courses in outreach centres; teaching hard to reach adults to help them take their first steps back into education and working life. In small groups I was teaching people who wouldn’t have gone to college, where it was often an achievement to just get out of house, enabling them through creativity to meet people, enjoy the camaraderie of creating in a group where they would support and encourage each other and eventually making new like-minded friends. I’ve taught students with self-confidence issues, depression and bi polar and the pride they have all taken in creating something, their sense of achievement and that they can see the progress and improvement they are making is tangible. The seemingly simple processes of setting goals, planning and organising that are also involved in learning a creative skill can be hugely empowering for vulnerable people who may have been living a life where much of that control has been taken away. Group creativity and learning can have similar effects on people with serious physical health issues, I’ve taught people who have suffered strokes or undergone intense radiology treatment which has damaged their concentration and short term memory and it seems the repetitive nature of sewing allowed them to feel that it was possible for them to learn something new, a process they had previously found difficult. Learning is good for you, you have to focus and concentrate and it stops your mind wandering into darker places and worrying about problems. “I made my friend her wedding dress in September this year. She hasn’t had the easiest few years and it was whilst I was sewing that I was thinking about both our journeys over the past three years. I loose myself in my thoughts when making and find that some relaxed dressmaking time works wonders for my mental health. Without attending sewing classes during my own difficult time of depression following my Nana’s death I wouldn’t have had the skills to make the dress. Even though, as we’ve heard, sewing is undoubtedly good for you and can have positive impacts on your health, I’m seeing an increasing impatience amongst some makers and an insatiable need to make something quickly and finish it in a class. I understand where this comes from (I’m the same sometimes), but it does make me a bit sad as it takes away from the point of the activity: to enjoy the process. If you don’t enjoy the process, well, you might as well just go out shopping. 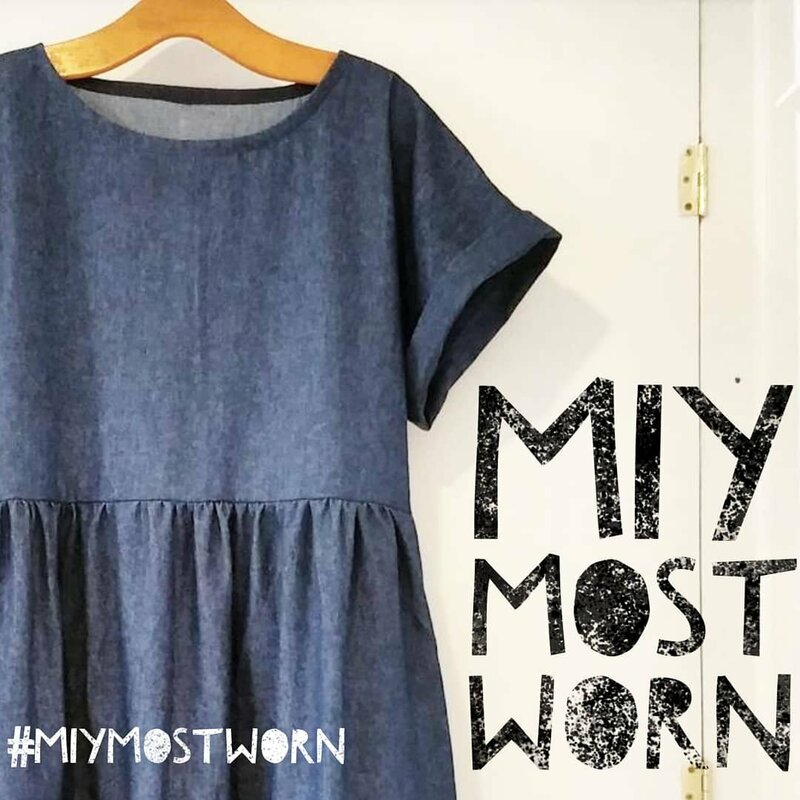 In response to this, there are growing “slow textiles” and “slow fashion” movements at the moment; makers who celebrate slow processes such as knitting, hand embroidery, hand-sewn patchwork and hand finished details. These processes force us to slow down and savour the process and the benefits it will have on your life rather than just focussing on the end result. Have a look at “Slow Stitch” by Claire Wellesley-Smith for some inspiration. Thanks to everyone that helped me to write this article, I wish you all continued health and happiness and much joyful sewing. I love clothes that wear thin and fade and take on the shape of their wearer. Especially in these days of so-called “fast” and “disposable” fashion. 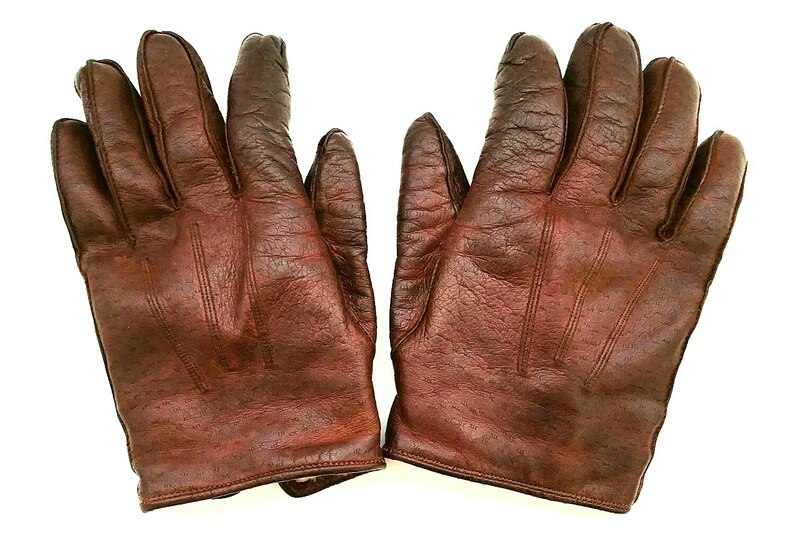 These are my winter gloves given to me by my dad. They’re a little big for me and have kept the shape of my dad’s hands, I’m still coaxing them to mould to mine. These gloves and my last post got me thinking during this most consumption driven time of the year. I have a great dislike for “ready aged” garments; jeans sold with faded patches and rips, I feel it’s a reflection of our impatient society that people can’t wear a garment long enough to achieve this cherished wear and tear organically. Authenticity and history has to be earned and takes time. I love to see an authentically aged, worn and torn garment with a bit of honest mending. Take a look at Tom of Holland‘s visible mending work and a gorgeous collaboration he recently worked on with Brighton vintage shop Wolf & Gypsy. If you want more, also have a search online for Japanese boro textiles; and the quilts of Gees Bend. Just beautiful and a beauty that was born out of necessity and functionality that makes it all the more beautiful in my book. “Slow Fashion” and “Slow Textiles” are ideas that have been around for a while in the textile art world, but seem to be gaining some momentum in the crafting world. I wonder, is it because this insatiable impatience for a quick fix that we all seem to have is now creeping into our sewing? I saw this great video on the BBC website recently about designer Carin Mansfield who sells beautiful clothes that are crafted to last and “Slow Stitch” a book by textile artist Claire Wellesley-Smith has been on my wish list for too long. Ruth Singer is another textile artist that has written some great books on textile manipulation and uses a lot of “slow” textile processes in her work and her current exhibition “Narrative Threads” explores the emotions, histories, stories and memories caught up in textiles. Creativity is always at its best with limited materials or techniques available, it’s a great practice to test your creativity, give it a try. Anyone can throw money at a project, it takes true creativity to make the best of what you have and I find work in this style to be the most inspiring. I hope you enjoy your sewing in 2016 and cherish the process as well as the end result.